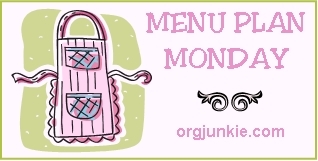 It’s Monday again, and, although I’m a wee bit late, that means it’s time for Menu Plan Monday at orgjunkie.com. Let’s not even talk about what we ate this weekend or the kitchen disaster that developed at dinner time on Saturday evening (that’s another story for another time). We’ll just pick right up with Monday this week. For more menu ideas visit Menu Plan Monday. Please join me in welcoming the newest addition to our (extended) family – our nephew, Baby Bean. He was born on Tuesday morning weighing in at 7 pounds 9 ounces and measuring 19 3/4 inches long. Hop over to tell Lu congrats and see a picture of her beautiful baby boy. I can’t wait to meet him and hug him and his Momma. Can you do it “all”? I can’t. I hope you’ll read the complete post and find encouragement for those days when you just don’t seem to measure up (at least in your own mind). You are currently browsing the Sidetrack'd weblog archives for September 2009.